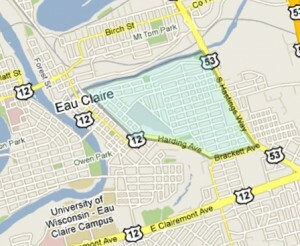 Eau Claire, WI – On January 1st, the Health Department will roll out the Eau Claire City Housing Inspection Program. 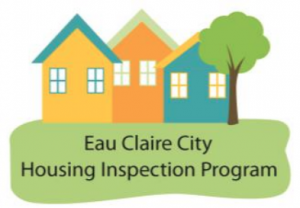 This program expands the previous housing program and requires the Health Department to survey the exterior of all homes in the City of Eau Claire at least once every 5 years. Homes identified with exterior safety and health concerns receive a required home inspection to see what changes can be made to improve the health and safety of the home. registration form and submitting a fee of $5 per property. The purpose of the rental registration is to build stronger communication between the city and landlords. “The program brings our housing code up to today’s standards. As the code was last revised over 20 years ago, this update ensures we are applying current best practices,” says KT Gallagher, Environmental Health Supervisor. In 2016, the Health Department inspected 1,101 homes. Inspectors worked closely with homeowners and landlords to fix issues that lead to unsafe and unhealthy living conditions. “Our goal is to make sure everyone is provided housing that is safe and healthy,” Gallagher states. Below are answers to frequently asked questions about the program. 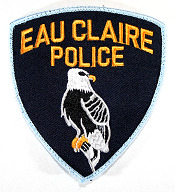 How will homes and rental properties in the City of Eau Claire be identified for a required inspection? • An exterior survey will be done to evaluate the conditions of all homes (owner-occupied and rentals). - Examples of exterior items surveyed: Chimney, roof, siding, windows, foundation, sidewalk, garage, etc. • Using this survey data and additional criteria, the Health Department will identify homes with the highest safety and health concerns. - Examples of additional criteria are: the number of complaints against the property, age of the property, if the home contains any rental units, and documented cases of retaliatory eviction. If your home or rental property is selected for a required inspection, what will happen? • A Health Department inspector will mail you a letter to request an inspection. • Our inspector will set a date with you to come to your property and inspect the inside and outside of your home. They will talk with you about violations that must be fixed. • There is a fee associated with the inspection. If no violations are found during the inspection then inspection fee will be waived. How do landlords register their rental property? Fill out the registration form online. Registration form will ask for the name of the owner of each rental housing unit and the name, address, and telephone number of an authorized contact person for each residential rental unit. The $5 fee per property can be paid online with a credit card or electronic check. Visit the Health Department office located at 720 2nd Avenue, Eau Claire. You will fill out the registration form at the office. Bring a form of payment for $5 fee per property (cash, check, or credit card). Print the registration form from the website and mail with a check ($5 fee per property) to: Eau Claire City-County Health Dept., 720 2nd Avenue, Eau Claire, WI 54703. NOTE: The program continues to inspect houses located in the County when we get a complaint or a referral from an agency. Please contact us at 715-839-4718 with questions about the housing program.